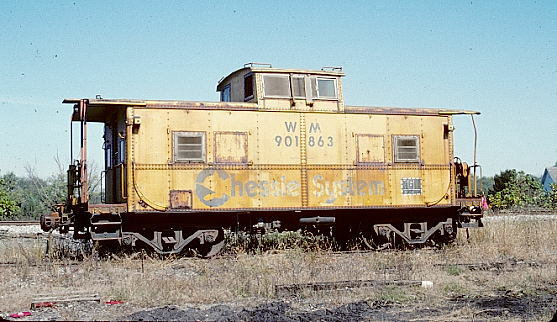 How did CSX wind up with a Norfolk Southern caboose? Hagerstown Roundhouse Museum wanted a CSX or another former Western Maryland to put on display. 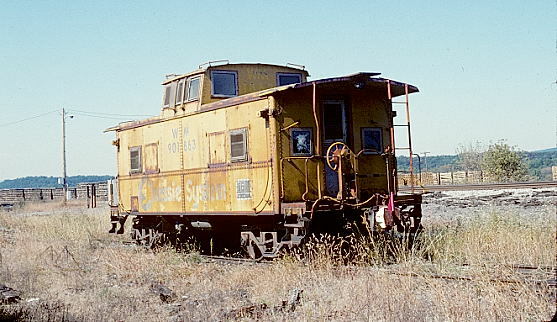 CSX was using the last, or one of the last, WM cabs at Green Springs, WV, (interchange with the South Branch Valley railroad) for a back-up move. CSX would give them the caboose, but they needed a suitable replacement. This trade came about. I looked at Hagerstown Roundhouse Museum's website, and you can see the repainted 1863 in one of their photos. I don't know if CSX still uses 900077 or not. 1. 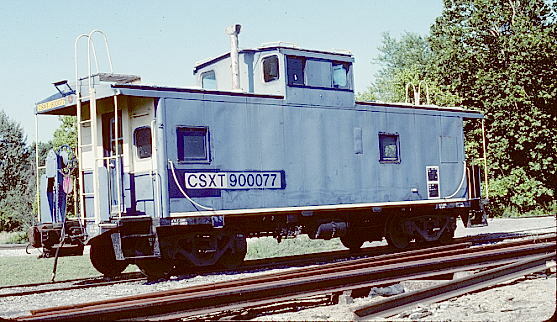 CSX caboose 900077 was stationed at Green Springs, W.Va., for local use. It is an ex-N&W class C-31 built in 12-68. 7-23-05. 2. Western Maryland caboose 901863 stationed at Green Springs for local use. Cab was built 2-40. That's the Koppers tie plant in the background. 10-7-03. View 1. 3. Western Maryland caboose 901863 stationed at Green Springs for local use. Cab was built 2-40. 10-7-03. View 2. 4. 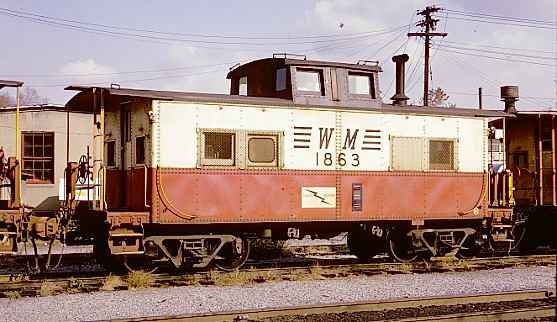 WM 1863 at Ridgley, W.Va., on 10-20-74.